Clever gamblers know that one of their most powerful weapons against the casino are free spins, and there are thousands of these available, just check the free spins database and see for yourself. Sometimes you just get free spins without depositing and sometimes you have to make a deposit, but in both cases the strategy for winning money is the same. If the free spins only apply to one particular game then obviously you’ll have to play that one, but if you’re free to choose then it makes sense to choose the best possible slot game, that will offer the greatest potential return on your investment. There are two ways to go about this, one is to choose a game which reliably offers some returns, and the other is to go with the game which offers the biggest potential of a big win. While you may be inclined to play it safe and go for a small profit, this is usually an inferior choice. You’ll end up winning a couple of pounds, euros or dollars, and will then have to go through the rollover conditions for that win, and it will be an exercise in futility. When you use your free spins, you want to win big or win nothing. Most gamblers who know what they’re doing use the free spins to play progressive jackpot slots in which prizes can range in millions. There have been cases where the jackpot has been won with free spins, though of course this is even more rare than just winning the jackpot in a normal way. Some players just complement their favorite progressive jackpot slot with those free spins. It does make sense to give yourself a chance to win millions for free. But the chance is really slim. There’s a golden middle here, between playing low variance slots and progressive jackpot slots, and that’s to play the game that has a rewarding bonus round. Since your number of free spins is limited, you won’t be able to win much unless you climb one step and use that free spin to access the bonus round, where you’ll enter a whole new game – for free. That’s why the best choice in the free spins strategy is to choose a slot game with a rewarding bonus round. Realtime Gaming slots could be a good choice, especially Swindle all the Way, as they offer good bonus rounds and most of them have a progressive jackpot, too. There are many slots that just offer 10 spins that are free when you land three Scatters, and these should be avoided, and then there are slots with extremely rewarding bonus games that offer win multipliers, extra Wilds, expanded Wilds, walking Wilds, an alternate paytable, or any of the other cool features that bring a lot of cash. It’s these slots you want to play with your free spins. You want your free spin to take you to a game where you’re able to win 100x your bet or more. 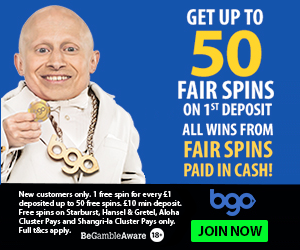 All free spins winnings have a rollover condition you must meet before withdrawing the money. Now this is a time to play low variance slots which you can play for a long time without winning or losing anything. Some players continue to play the high variance slot with a rewarding free spins game, but that would be a mistake, as you’re likely to lose what you won. You want to play NetEnt slots if they’re available, as these usually pamper the player with low variance and can be played for a long time without the bank balance going too far up or down.